Music Awards, Western Canadian Music Awards, Independent Music Awards and more. Lizzy is a full-time musician who has travels and tours throughout the year with her trio. 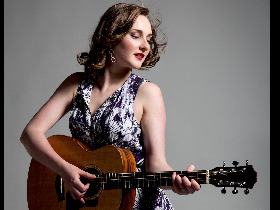 LIZZY HOYT New Lady on the PrairieA talented multi-instrumentalist (fiddle, guitar, harp and mandolin), she has been nominated for Canadian FolkMusic Awards, Western Canadian Music Awards, Independent Music Awards and more. Lizzy is a full-time musician who has travels and tours throughout the year with her trio.